List of games and expansions I'm looking for at Spiel 2014. Feel free to add some comments and to suggest similiar games. Up to ten different races each with specific minis for space ships and ground forces. Highly recommended. Won't make it to Essen 2014. I hope it will be available by the end of the year. Hoped this would be available in German. Played and lost my first game of Clash of Cultures yesterday. The cardboard wonders are modest. I'll replace them with the minis from Shapeways. The wonder minis arrived today. Expensive I know... but shapeways did a good job. Good game, the expansion becomes a "must have"!. I went to the Z-Man booth yesterday the first day of Essen 2014 and the expansion was already sold out for the show. Will have to buy it later. Another expansion for Steam. Will probably buy it in Essen. Must buy for Cyklades players! 6th player only in team play mode. From the village to islands far away. Comes again with a board overlay. Ordered it directly from What's Your Game! Got copies for me and 5 gamer friends. Perfect timing with the release of the 3rd Hobbit movie! I should probably play War of the Ring and Battles of the 3rd Age before buying this. A new enhanced crowd funded version. Another Civ game with cards on Kickstarter and Spieleschmiede. I like games with maps and moving and fighting minis more. Currently undecided. 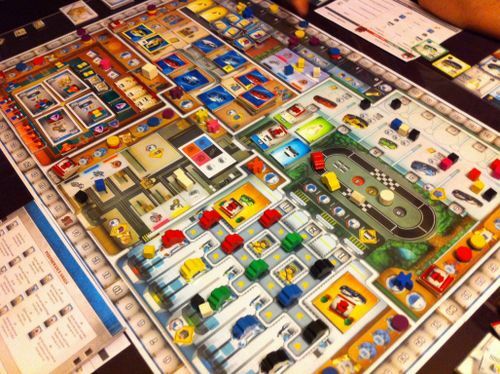 I will have a look at it in Essen. Just another civ game. 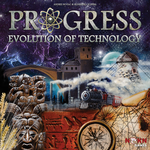 On kickstarter with Essen pickup until 24. June. Will have a look at it at the Essen fair. No longer interested. Multiplayer solitair. 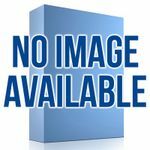 Nascar Racing from GMT Games. Have a look at the rules if you are looking for a race game with fine mechanics. I'm very impressed by Archon: Glory & Machination. New Dawn, on Kickstarter until 31th of July, another gem from Artipia Games? 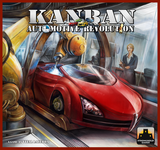 Just ordered it with Essen pickup. Matagot games are always very nice. I like Cyclades more but the completer in me calls: "Must have". Need more info. Nothing new about this one yet, i.e. I expect it to be released in 2015. This is the opportunity to get this great game with the expansion and some other goodies. On Kickstarter until 24th of July. Brought it home from Essen. Terra Mystica is one of the favorites in our group. I have to admit, I bought it cheap and have all mini expansions, but it isn't one of my personal favorites. I'll probably buy the expansion because I hate "incomplete" games. The promos available in Essen look as they add nothing to the game play. It might be a good idea to wait for the christmas offers. 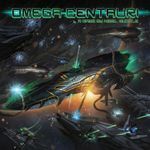 Former known as Ascendany from JKML now with new name Omega Centauri from Spiral Galaxy Games. Another space empire building game. Hope I can have a look at it in Essen. Theme sounds interesting, but probably to much cards for my taste and no map. From the designer of Vinhos. Ryce: Empire of Sand is a "peaceful" turn-based area control and optimization strategy game on a variable game board with interactive mechanisms, low downtime, and a variable and calculable game-time. Meanwhile, I had the opoportunity to play the collectors edition. Wow, it looks really great. It took some time to set up the game and to explain. Obviously we made some early playing mistakes and therefore it took some time before the game became really interesting and we had a clue about what to do and what to avoid. There is a very good player aid for each player and the mistakes weren't caused by not understanding the rules but by choosing inappropriate actions. After about 3 hours we had to stop it probably with 1 another hour left. All players agreed to try it again and were confident that there is more to explore in the sands of Mars. Maybe, I'll back it during next years kickstarter if the príce is reasonable. Probably of interest for some of the players in my group. "Set in a mythical land of the same name, Hyperborea is a light civilization game for 2 to 6 players that takes 20-25 minutes per player. The game begins at the time when the magic barrier protecting access to the mythical continent of Hyperborea suddenly falls. Each player takes the role of the leader of a small kingdom situated just outside the now open to be conquered and explored land. Her kingdom has limited knowledge of housing, trade, movement, warfare, research, and growth, but new and exciting powers are hidden in Hyperborea. During the game, this kingdom will grow in numbers and raise armies, extend its territory, explore and conquer, learn new technologies, etc..."
Merchants and Marauders in space? Another Merchants of Venus? Just saw this 2013 kickstarter. I hope I can have a look at it in Essen. A small expansion for Keyflower. "A new village tile for the game Keyflower to celebrate BGG's up and coming fifteenth birthday. The Beekeeper (or Bggkeeper if you study the tile carefully) tile will be available exclusively from the BGG Store in August 2014 and features a small running Ernie icon to identify its BGG connection. This winter tile scores two points for each adjacent tile at the end of the game." Got it to support BGG.